Automakers say they are letting the federal government make the first move, but analysts contend car brands and dealerships should be doing more to inform consumers about the record recall. That’s the staggering tally of cars and trucks that will be recalled, the most in one process in US history, due to faulty airbags made by Takata, affecting a wide range of makes and models across foreign and domestic brands. The recall has created an unprecedented communications challenge for the automotive industry, the government agencies that regulate it, and dealerships across the country as they try to explain to millions of consumers whether or not they should bring their car back to the dealer. Jared Levy, principal at Sard Verbinnen, the firm working with Takata on crisis response, says safety is at the forefront of the company’s message. "Takata makes safety products, so everything they do has the overarching goal of promoting customer safety," he explains. "We are helping them to get that message out and also make sure everyone knows Takata is working closely with their automaker customers and the NHTSA to promote safety." In December, Takata brought on Sard Verbinnen for communications support as the recall crisis began to take shape. Its work is driven by the firm's New York office, with support from staffers in London and San Francisco. The firm also organized a global comms team to respond to the matter, consisting of Japan-based firm Ashton Consulting, and Germany-based Hering Schuppener. At that point, automakers had recalled more than 20 million vehicles around the world since 2008 for defective Takata inflators, which have been linked to six deaths. 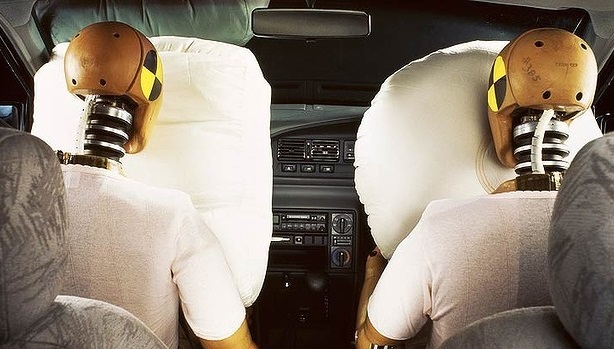 However, a nationwide recall was put off until this week as Takata argued that the airbag problems were limited to regions with high humidity. Since the US-wide recall was put into place on Tuesday, Takata has only issued one press release on the situation. In the statement, it disclosed its agreement to address public-safety concerns from the NHTSA’s investigation of its airbags. Takata’s agreement with the government agency presents a "clear path forward" to advancing safety and restoring the trust of automakers and the driving public, Takata chairman and CEO Shigehisa Takada says in the release. The company’s automaker customers include BMW, Fiat, Chrysler, Ford, General Motors, Honda, Mazda, Mitsubishi, Nissan, Subaru, Toyota, and Daimler Trucks. "As part of [Tuesday’s] announcement, Takata is committed to being part of the solution to get recall rates higher," Levy adds. "One of NHTSA’s goals is to increase participation in recalls; they have been critical of certain automakers for not doing so." The NHTSA wants a plan from Takata within 60 days that includes automakers’ input on how best to communicate with consumers about the recall. "The plan will have a big comms and advertising element, as well as a social media element, which may come from Takata directly or the automakers themselves," says Levy. "The point is: Takata is focused on being part of a solution and getting the word out because recalls are only effective if consumers bring in their vehicles to get them fixed." Takata isn’t the only company that has faced the daunting task of explaining a recall to millions of consumers. Two major automakers had to do the same last year. General Motors saw its reputation take a hit in 2014 as it recalled about 2.5 million small cars, mostly Chevrolet Cobalts, after extensive ignition-switch problems. The issue has been blamed for more than 100 deaths. Honda last year also conducted a nationwide recall due to faulty Takata airbags that reportedly exploded with too much force. The recall affected 8 million US cars. A 2009 recall cost Toyota $1.1 billion in a lawsuit settlement, while a separate recall that same year by Ford called back 4.5 million older-model cars due to a malfunctioning cruise-control switch. Although the bulk of comms responsibility on the recall lies with Takata, consumers will expect answers to come directly from their auto dealers, according to Gene Grabowski, a partner at kglobal. That’s because Takata is a b-to-b company that is largely unknown to the public, he adds. "If my favorite bread was recalled, I would take it back to the store, not the factory," he explains. "That store would likely give me a refund because it wants to keep that relationship with the customer and take some measure of responsibility – it is the same for dealers that sell cars with Takata products." The company’s top priority should be to provide dealers, through the manufacturers, with comms materials in the form of videos, fact sheets, and Q&As to help them handle consumer questions and complaints, Grabowski says. "If Takata treats its auto manufacturers and dealers right in this situation, it will be able to resuscitate its relationships and strengthen them," he adds. As of Thursday morning, the recall was not winning rave reviews in the media. The New York Times ran a story Wednesday night with the headline, "For drivers, confusion reigns in Takata airbag recall." Karl Brauer, senior director of insights at Kelley Blue Book, says while it is early in the recall process, he "definitely thinks the dealers and manufactures have to be involved because that’s who the consumers are most familiar with." "At the end of the day, you bought a Honda from a local Honda dealer or you at least probably got it serviced by your local Honda dealer, so they’re going to have a bigger influence over [consumers] than some abstract government agency that they’ve probably barely heard of and never deal with," explains Brauer. The same goes for Takata, he says. Most people have only heard of the company during recalls and don’t really understand it or what it does. That’s why it is important for automakers and dealers to step in, noting that putting information on their websites is something dealerships "should be doing," Brauer adds. He notes that they should "absolutely" be using social media, "especially if they’re trying to get a hold of younger people who own the cars and need to know about it." An analysis of the digital properties of major car brands found mixed results. Of the 10 automakers affected by the recall, none were using social media channels to distribute information about it as of late Wednesday afternoon. Toyota, Honda, GM, and Mitsubishi had posted information on the homepages of their main websites. Brandon Mason, leader of Autofacts Americas, the analyst group within PricewaterhouseCoopers’ global automotive practice, notes that each automaker has its own protocol for telling consumers about recalls. He says there is no "one right way" to go about it, but the strategy generally includes a combination of emails, phone calls, and updated website information. "The most important thing is to make sure that consumers are made aware of the issue as soon as possible, and if there’s some overlap, so be it," Mason explains. With the recall being "unprecedented" in terms of scale and seriousness, he says it is too early to say what companies are doing a good job communicating with consumers and dealers. Many auto-industry communicators who spoke with PRWeek point the finger at the National Highway Traffic Safety Administration in terms of the organization primarily providing information. Mason notes that the NHTSA set up a website for consumers to type in their vehicle identification numbers for recall information, and if the site becomes "overwhelmed, it redirects users to their individual vehicle assembler’s site." Ray Day, group VP of comms at Ford, says via email that "NHTSA is leading with good consumer information right now." "They are helping all consumers with this industry-wide matter right now – especially the VIN identifier," he adds. Day did not disclose further information on the company’s communications strategy. Similarly, Toyota says in an emailed statement that its "focus remains on the safety and security of our customers." "We are currently evaluating NHTSA’s industry-wide announcement and will work with the agency to respond as necessary," it adds. Matt Sloustcher, Honda North America’s assistant manager of corporate affairs and communications, says he cannot comment beyond the statement the automaker released on Tuesday about the NHTSA’s announcement. It explains that Honda is reviewing the information released by the NHTSA, and is directing Honda and Acura owners to the brand’s recall websites and phone numbers. Nissan Americas VP of corporate communications David Reuter says his company acted swiftly despite multiple announcements over many months on the recall, which have challenged automakers’ communications teams. "In the case of safety recalls, the manufacturer must balance the responsibility to notify owners in a timely fashion with what can, in reality, be a very complex root cause engineering analysis that can last many months," he says, via email. "The necessary interactions with government authorities add another layer of complexity to the equation." Subaru representatives declined comment, while reps from BMW, Chrysler, General Motors, Mazda, and Mitsubishi were not immediately available for comment. Brauer adds that while the NHTSA may be the body with the most decision-making power in this situation, that should not stop a manufacturer or dealer from communicating with consumers, even on a basic level. He says he is hoping the government agency and automakers quickly put together a plan to explain the overall recall process to the public, including the timing for repairs. After the fact, the auto industry "will look closely at this for future recalls to see how it was handled and what can be learned from it," Mason notes. The Department of Transportation was not only integral in compelling Takata to announce the massive 34-million-vehicle recall, but it quickly published next steps on Tuesday to help minimize further harm. Takata airbags have been linked to six fatal accidents internationally, according to the Transportation Department. The NHTSA sent a consent order to Takata, which "requires the company to cooperate in all future regulatory actions that NHTSA undertakes in its ongoing investigation and oversight of Takata." The government body also plans to launch a formal legal process to organize the replacement of Takata inflators. In terms of communicating with the public, the Transportation Department posted a microsite specifically about the situation on SafeCar.gov, with an option for individuals to sign up for recall alerts. The consent order is also available on the portal. In February, the NHTSA slapped Takata with a $14,000-per-day fine for "not completely answering questions about air-bag inflator production and company efforts to investigate the explosions," according to Bloomberg News. That penalty was suspended this week. "Getting out of a crisis means you have to show you’re working with regulators," says Ernest DelBuono, SVP and chair of the crisis practice at Levick. "Here, they are being accused by NHTSA of failing to cooperate. Just the optics makes it that much more difficult for them to recover." He adds that digging out of a crisis requires allies, and Takata has fallen out of favor with many stakeholders, including the NHTSA. However, NHTSA administrator Mark Rosekind did acknowledge the company's cooperation at Tuesday's press conference. The crisis may have also been a change agent for how the government auto-safety agency communicates with the public. Speaking out about Takata’s admission of faulty airbags on Tuesday was a shift for the NHTSA, which has been criticized by lawmakers and advocates for years for being too lenient on the auto industry, according to The New York Times. "More and more agencies over the years have been more proactive in outreach communications," notes DelBuono. Yet now, more government instruments are taking proactive steps like setting up a microsite to keep the public updated, as the Coast Guard did in the wake of the BP oil spill, he adds. DelBuono says that, ultimately, Takata has a lot more work to do, noting it has "chronic" issues going back years. "They have to have an action plan, but in order to have an action plan, they have to fully comprehend what the issue is," he explains. This story was updated on May 21 with more information about the SVC offices working on the account.